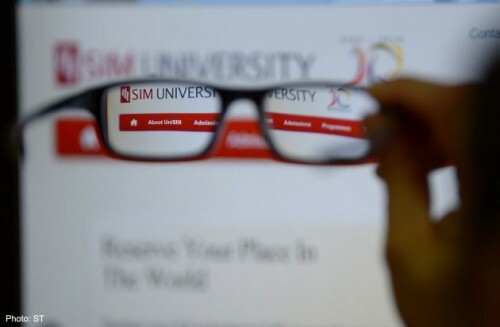 SIM University (UniSIM) - the main university here for working adults - has drawn up a plan to bring university learning to the homes, offices and neighbourhoods of Singaporeans. From July, it will offer 186 modular, bite-sized courses to the public, on subjects ranging from company law to financial accounting and human resource management. Singaporeans can study for the courses at home, as much of the teaching will be conducted online. This will be supplemented with classes at the UniSIM campus in Clementi Road. The university will also look at bringing some of the industry- specific courses to workplaces. In the future, it is also thinking of running some of its general interest courses, such as in art and music appreciation and fundamentals of investing, at places such as MRT stations. The modular courses that UniSIM will offer from July are part of the Government's SkillsFuture initiative to encourage Singaporeans to develop specialised skills and adopt the habit of lifelong learning. UniSIM and the five public universities, as well as the polytechnics, will launch about 300 courses altogether this year. UniSIM, set up in 2005 to offer part-time degree courses for working adults, now has 14,000 of them enrolled in more than 50 degree courses. It also admitted 217 school-leavers into its first three full-time degree programmes last year. Students can take the new courses as stand-alone modules to gain particular skills, or take several related ones and chalk up enough credits to attain a degree. Fees for each course range from $600 to $1,300, but with subsidies from the Government, students will pay less than half the amounts. They can use their SkillsFuture Credits - the training grants that all Singaporeans aged 25 and above will receive from next year - to offset the remaining fees. UniSIM president Cheong Hee Kiat said: "Over the last decade, we have built up a range of industry-relevant courses for working adults and expertise on how to help adults work and study at the same time. "We will continue to work closely with the industry to ensure that our courses stay relevant. At the same time, we will continue to conduct research on how adults learn best and how technology can be used to enhance their learning." Professor Cheong said that in the years to come, UniSIM wants to make its courses more accessible to the public, including retirees and those about to retire, by conducting some courses out of campus, closer to people's homes. For instance, it could hold classes at rented spaces in MRT stations, which would make attending them in the evenings more convenient, he added. He hoped that UniSIM, which is celebrating its 10th anniversary this year, will become known as the university for life, and not just working adults, over the decade. "Learning should not just be for work and building up a career, but also for living fulfilling lives," he said. Retired sales director James Tan, 63, welcomed the idea of offering general interest courses at places such as MRT stations. "I am interested in courses on topics such as teenage psychology because of my five grandchildren, as well as on counselling and investing for retirement. I hope they will offer these courses soon, at subsidised rates and at a place near my home. "I am retired from work, but not from life."